For the highest quality carpet cleaning in Meridian, Eagle and Bose Idaho, Call Carpet Geek. If you have tile and grout that needs some TLC, we can help you with that too! For all of your floor maintenance needs call Carpet Geek First! Visit our website to see pictures and learn more about us! At first glance this floor did not seem extremely dirty. A good floor will hide the dirt and built up grease. This floor was doing its job. You can see where I have cleaned the floor already. Next to the clean part, the cleaning solution has been applied and is breaking up the grease. At the top of the picture the floor is untouched with no cleaning solution. The untouched floor was normal looking to the home owner because it had always looked this way. Once the cleaning process was started, it became evident just how dirty the floor really was. To see if your floor could use a good cleaning, take a look at the grout around the edges of the room and compare it to the grout in the middle of the room. Next step: call Carpet Geek! We have the knowledge, products and tools to get the floor looking great again. 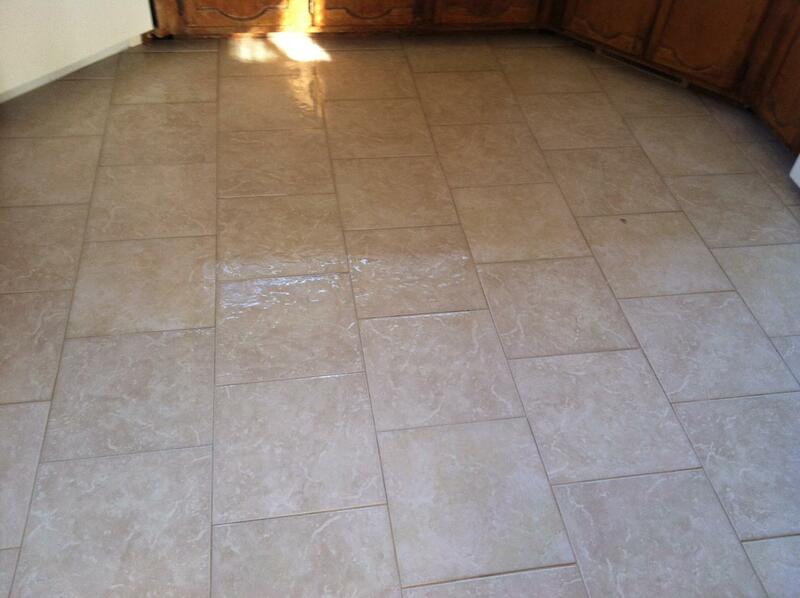 If you are looking for a tile cleaner in Eagle Idaho, look no further! 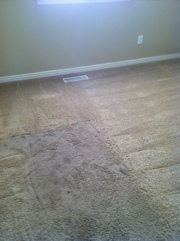 If you are in doubt about replacing your carpet or getting it cleaned, call Carpet Geek. 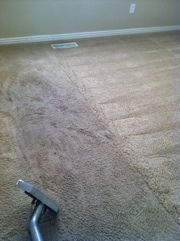 We can clean your carpet and have it looking great again at a fraction of the cost to have it replaced! 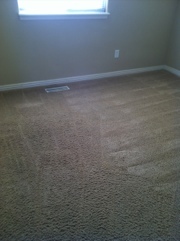 If you need a carpet cleaner in Meridian Idaho, Call today! We have the knowledge, equipment, and products to get the job done right. 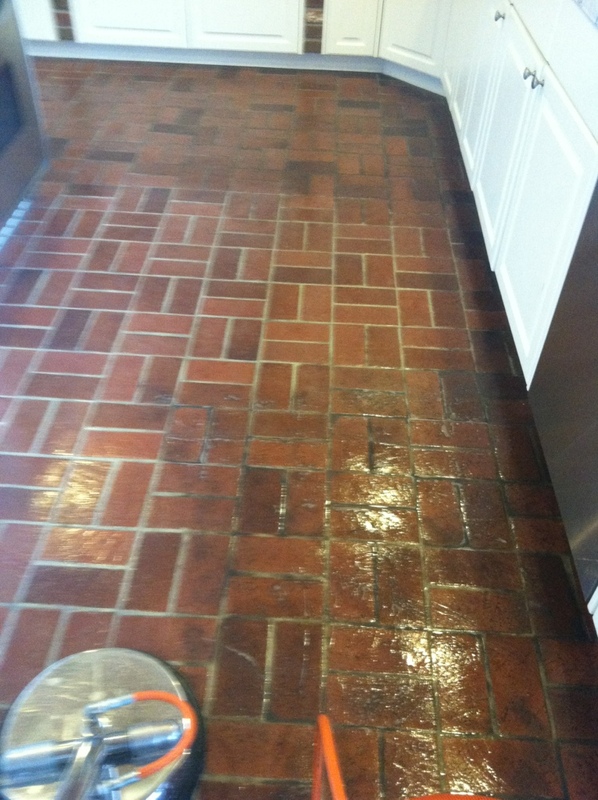 We can also clean your tile and grout. Have you ever tried to clean the grout in your tile? This can be very difficult if you do not have the cleaning products and tools to do it. This kitchen was in need of some TLC. The grout had heavy oil build up on it. After we applied a high quality cleaning solution, the grout was scrubbed and then cleaned with a special tile cleaning tool.This tool uses steam, to get a deep clean, and rinses the tile clean. The floor is now clean enough to eat off! If your tile needs some specialized TLC, call Carpet Geek! We have the products, tools and knowledge to get the job done right! We can also get your carpet cleaned and ready for Christmas company! Call today! Thanksgiving is over, Christmas music is playing in the stores, the decorations are starting to go up around the house. It’s beginning to look alot like Christmas. Everything is ready, but is your carpet? You might be thinking to yourself that you wish you would have had the carpet cleaned BEFORE the decorations were up. Don’t worry, simply call Carpet Geek to take care of it! We will have your carpet cleaned and refreshed, ready for Christmas. We can gently clean around your decorations without disturbing them. Having company? Forgot to call and get your carpet cleaned? Don’t worry, we can get you taken care of. We have high powered carpet drying fans that will get your carpet dry and ready for the company to show up. Don’t forget to get the couches and love seats cleaned too. You want to know that your guests are relaxing on clean and healthy upholstery. 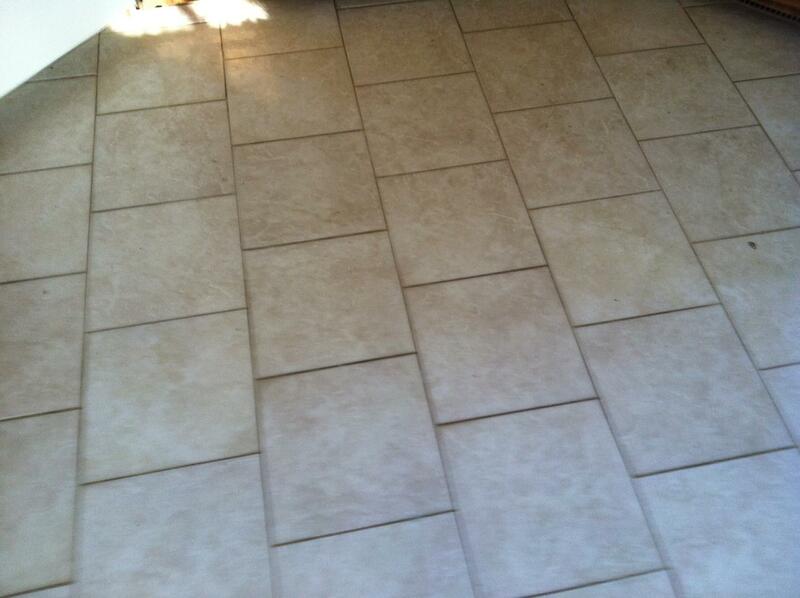 We can also clean the tile and grout in your home. If you look at your tile and notice that the grout in the middle of the room is not the same color as the grout along the walls, then you need to call us. Give your guests a floor that is clean enough to eat off! Carpet Geek wants to help you make this the most memorable Christmas ever! Call and schedule a cleaning and we will apply carpet protector to your family room FREE! This offer is good through December 31, 2011 and we have a minimum service charge of $65.